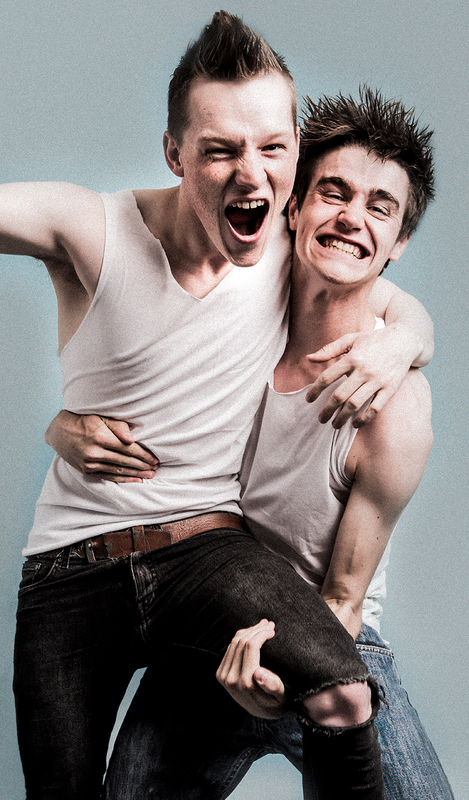 Full casting and the creative team are announced today for the UK première of punkplay at Southwark Playhouse. Gregory S. Moss’s punkplay is a riot of a play told at breakneck pace with a killer soundtrack, a coming-of-age story about subcultures, friendship and not-fitting-in - all on rollerskates! Staged in the US by Steppenwolf Theatre Company, punkplay, directed by Tom Hughes, will open for a 4-week season at Southwark Playhouse from Wednesday 7 September and run until Saturday 1 October. There’s Duck and there’s Mickey. They’re the kids of America and it’s the 80s apocalypse. They hate their parents and there’s no point in algebra. They’re grabbing at this thing called life: guitars, girls, love, fury, heartbreak and noise noise noise. Punk is their escape from suburbia and it’s like nothing they have ever heard. It’s fast - it’s alive - it’s already dead. Matthew Castle was Roger in the Regents Park Open Air Theatre’s acclaimed production of Lord of the Flies. Aysha Kala was named a BAFTA Breakthrough Brit of 2015. She played Sooni Dalal in Indian Summers and was in Shameless (both C4). On stage she was in Much Ado About Nothing at the Royal Shakespeare Company and Djinns of Eidgah at the Royal Court. Sam Perry and Jack Sunderland are making their professional stage debuts. punkplay is part of Punk London – 40 years of subversive culture. Steppenwolf Garage, and New York Theatre Workshop. Gregory is a 2012 MacDowell Fellow, a Playwrights Center Core Member, and the recipient of a 2010-2011 Jerome Fellowship and a 2011-2012 McKnight Fellowship. His work has been published by Play: A Journal of Plays, n+1 and Playscripts. He is currently working on commissions from Playwrights Horizons, Woolly Mammoth, and Clubbed Thumb. In collaboration with composer/lyricist Joe Iconis, he’s creating a new musical based on the life and work of Hunter S. Thompson for La Jolla Playhouse. Recent and upcoming productions include La Brea; Orange, Hat & Grace; I Promised Myself to Live Faster in collaboration with Pig Iron Theatre Co. at the 2015 Humana Festival of New American Plays at The Actor’s Theatre of Louisville, Reunion at South Coast Repertory (Best New Play of 2014, The OC Weekly), Billy Witch at Studio 42 and APAC (NY), House of Gold at La Comédie Française (Winner, Prix du Public) and at EST-LA (LA Times and LA Weekly Critics’ Pick) and sixsixsix at Antimatter Collective (NY) (Editor’s Pick, Flavorpill). Director Tom Hughes is currently working as staff director to Rufus Norris on The Threepenny Opera (National Theatre). He originally trained with Living Pictures and on the 2013 NT Studio Directors Course. In 2013, Tom directed the sold-out Late in the Day (Hen & Chickens Theatre). He has also worked as assistant director to Carrie Cracknell on A Doll’s House (Young Vic), Wils Wilson on I Want My Hat Back (National Theatre) and Nancy Meckler on Brontë (Shared Experience/Tricycle). Tom is also co-Artistic Director of The Band Theatre Company - a collaborative ensemble who devise anarchic and noisy new plays for adventurous audiences - who have been supported by Camden People’s Theatre, Theatre Delicatessen and Arts Council England to develop their first full show: The Ajax Project. Tom also holds a PhD in Film and Television Studies from the University of Warwick. At the age of 18, Tom spent much of 2002-2003 touring the UK and Europe with Austrian activist punk band J*A*N feat UDSSR. Always more than a musical genre, punk allowed a generation to express themselves without deference, to invent without fear, and to create without boundaries. 40 years on, and some of the most cutting edge cultural organisations and businesses in London have come together to celebrate punk in all its ragged glory. A year long programme of gigs, exhibitions and films will look back at the excitement and energy of the movement’s genesis, and at punk as an on-going catalyst that continues to inspire, refuse categorisation and spark creativity around the world.